The New York City Bar Legal Referral Service can provide your office, community group, school, or organization with an experienced lawyer who will give a free presentation on a specific legal topic or general area of law. Each presentation is followed by a question and answer session. The entire program can be completed in one hour, or more, depending upon your needs. 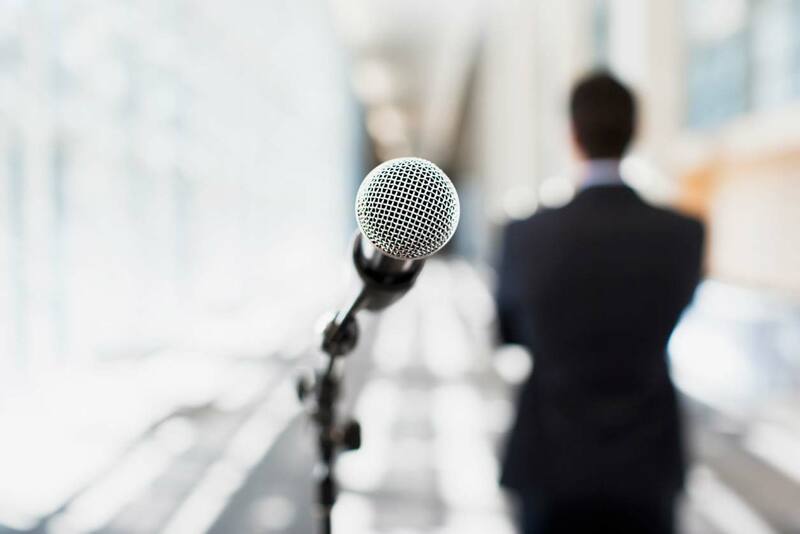 The Request a Speaker program is a public service and the volunteer speakers are representatives of the New York City Bar Legal Referral Service and will not solicit business from the attendees for their own personal benefit. Buying and Selling a Home: The purchase of a new home can be an exciting milestone. It can also be stressful and confusing. That’s why it’s important to pay attention to legal issues when buying or selling a home. Whether the home is a city co-op apartment or a house in the suburbs, there are a number of legal issues to consider in sale and purchase. This presentation can address topics such as contract clauses, closings and commissions. Consumer Fraud Prevention: Consumer fraud scams are difficult to notice, but knowing what to look for may help you avoid becoming a victim. It is important to know the facts about deceptive business practices, credit disclosure laws and your rights as a consumer. Through this presentation you can also find out what to do if you fall prey to a scam. Family Law: A major change in family life, like a separation, divorce, or adoption affects both parents and children. Knowing your legal rights and responsibilities may ease the emotional and financial impact on your family. General information about child support, visitation and custody can be provided. Landlord-Tenant Issues: Renting an apartment is more than finding the perfect location at an affordable price. The landlord-tenant relationship can have a significant impact on whether or not an apartment is a good choice. You may want to know: What is included in the lease? How is the building maintained? Who is responsible for making repairs? What happens to your security deposit? What are your rights as a tenant if evicted? Is locking out a tenant legal? These and many other questions may be answered during a presentation on the rights and responsibilities of landlords and tenants. Wills, Estate Planning and Elder Law: You’re never too young to have a Will. A Will documents how your property will be divided after death, and is a common way to provide for loved ones in the event of a fatal accident or illness. Whether an estate is small or large, a Will lets the owner take control of how it is divided and who will care for minor children. A presentation on Wills, Estate Planning or Elder Law can explore several types of documents available to you and your parents. We are happy to tailor a speaking engagement to suit your needs, and we look forward to having an opportunity to visit with your group or organization. For more information or to schedule a guest speaker, please contact us at 212-382-4730 or RAS@nycbar.org.